Synopsis: A video game villain wants to be a hero and sets out to fulfill his dream, but his quest brings havoc to the whole arcade where he lives. Review: Nostalgia filmmaking is not for everyone. As much as something can seem like a slam dunk on paper, movie studios tend to tread carefully with films that might appeal to audiences that don’t go to the movies quite as often as they used to. If they get it wrong, they’ve alienated your base demographic and the repeat business is a bust. If they get it right, they guarantee their product has a longer shelf life. Thankfully, the makers of Wreck-It Ralph fall into the latter category and have delivered a high gloss animated comedy that is a mostly winning treat. I’ve always appreciated that the Walt Disney Studios haven’t been afraid to look for anti-heroes when creating new work. 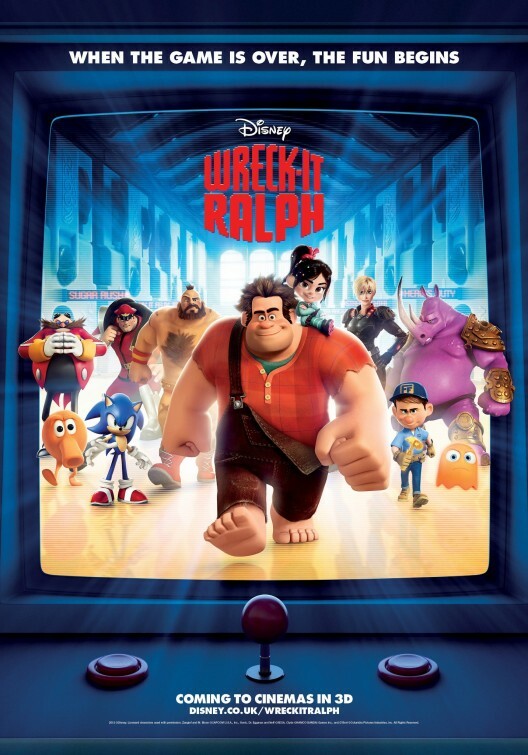 The central character in Wreck-It Ralph is the ‘bad guy’ in an 80’s style video game that longs to be a winner. Now, he’s not asking to be good necessarily…he just wants to win the coveted medal that his nemesis Fix-It Felix achieves every time he defeats Ralph. We are given an inside look at the world inside Ralph’s game and see what happens when the arcade closes and the work day ends for the inhabitants of the game. Yeah, there is more than a passing connection to Toy Story in that aspect but the similarities end there. When Ralph goes “Turbo” (explained in greater detail with a neat-o double twist) and leaves his game for greater glory, he sets off a series of events that threatens to pull the plug on several games. Along the way he enters a first person military game and then winds up in a Candy Land-eqsue racing game (Sugar Rush) where he meets a mischievous glitch that may hold the key to salvation. The film is a candy color-ed adventure that works on several levels. It’s quite creative in its employment of familiar characters to anyone that ever had an Atari or Nintendo growing up. There are enough in jokes and references that don’t go too far over the heads of youngsters that adults will get a kick out of things as well. 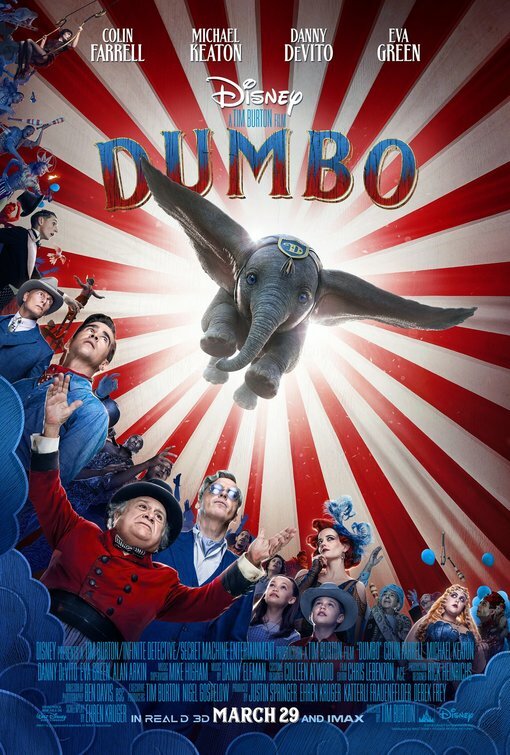 It’s also (per usual Disney fare) a strong morality tale of being happy with yourself for who you are, not what people may label you as being. Reilly is a nice choice to voice Ralph…his genial lunk headed-ness comes across well in an easy-going delivery that allows audiences to feel empathy for our nice-bad guy. Silverman goes wild as glitch Vanellope and Lynch does her normal shtick as a hardened soldier that falls for Felix (McBrayer). Tudyk channels Ed Wynn as the crazed King Candy who is intent on keeping Vanellope out of a big race that the film speeds toward. With the added benefit of some swell 3D and a perfected Disney sheen, Wreck-It Ralph is an enjoyable film that probably goes on ten minutes too long. It’s in these extra ten minutes, gathered from various scenes along the way that you start to feel a bit bogged down by some unnecessary restatements of thoughts/ideas the film has already made clear. With a curious lack of strong family fare this holiday season, it’s no wonder that Wreck-It Ralph has cleaned up at the box office the past few weeks. It’s getting some competition in the next few weeks but expect this one to stay on top of them all a while longer. It’s typically strong Disney fare that has its heart and brain in the right place.